We invest up-to $250K in the initial stage. We offer shared affordable space to our portfolio companies. We have an expert panel of Mentors and advisors with vast experience. Vaibhav is the Co-Founder and managing partner at Tessellate Tech Ventures. He has done Masters in Management from Nottingham University. He is also a Director, Strategic Business Planning, at Napino Auto and Electronics Ltd, one of the leading manufacturers of auto electrical and electronic products in India. Under his vision, the company set up a state of the art R&D center to work on breakthrough technologies in the auto sector. Vaibhav is passionate and driven to bring his past experience and resources to help develop businesses that will redefine the technologies of tomorrow. 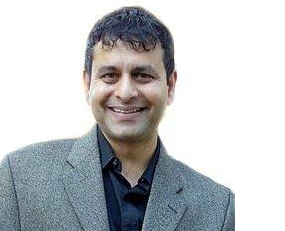 Jeet leads seed investments at Tessellate Tech Ventures. Jeet has over 20 years of experience in a variety of domains, from finance and Strategy to product management and technology development. 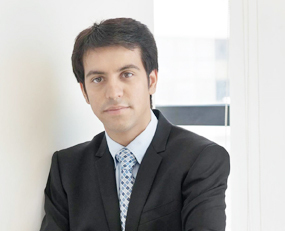 Jeet had earlier co-founded VOGUEMAGNET.COM in 2012– a premium Online Private Sales Website for Fashion apparels and accessories. Jeet is CFO at Napino Auto & Electronics Ltd. One of the leading manufacturer of auto electrical and electronic products in India. Prior to Napino Jeet has worked with Leading Global Corporations like LG Electronics, Owens Brockway, SHV Energy and Praxair in India and Global roles. Jeet has done Masters in Management from Boston University and Bachelor’s in Engineering from Bhopal University. Napino Auto & Electronics Limited is a leading manufacturer of Electrical and Electronic Products for the Automotive Industry. VVIPL is a leading Engineering Design and manufacturing company that stands on strong pillars of technology. © 2016 Copyright Tessellate Ventures. All Right Reserved.